VII. Honvédfesztivál – 2016. 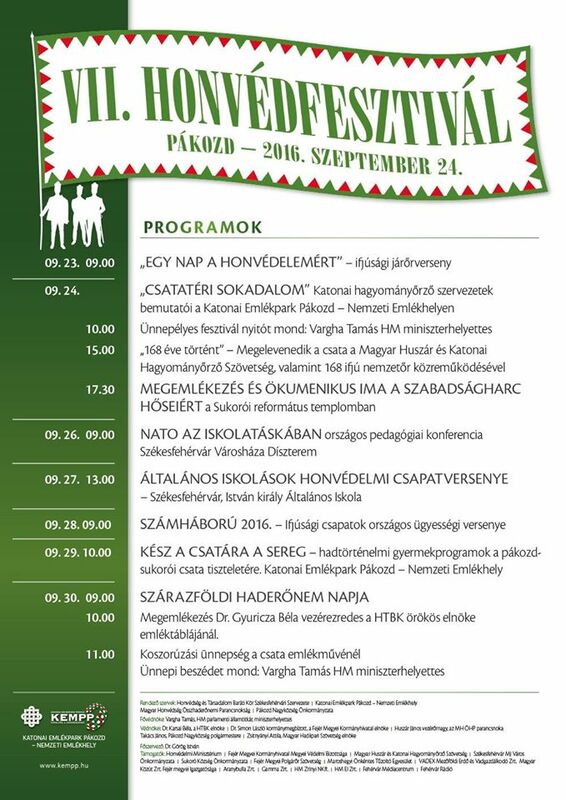 | Fejér megye program, rendezvény, fesztivál, hír és információs oldala Székesfehérvár - Dunaújváros - Mór - Bicske - Velencei-tó! Otthon vagyunk Fejér megyében! VII. Honvédfesztivál – 2016. 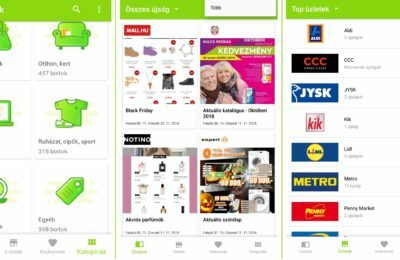 – Fejér megye program, rendezvény, fesztivál, hír és információs oldala Székesfehérvár – Dunaújváros – Mór – Bicske – Velencei-tó! Otthon vagyunk Fejér megyében! Főoldal Esemény VII. Honvédfesztivál – 2016. Magyarország egyetlen hadtörténelmi emlékparkjában egyhetes rendezvénysorozattal emlékeznek a pákozd-sukorói csatára. Huszár és hagyományőrző katonai bemutatók, katonazenekarok muzsikája, militária és népművészeti vásár színesíti a csatatéri sokadalmat. Megismerkedhetnek országunk katonai múltjával, a jelen honvédjeivel és a hagyományőrző szervezetekkel. this web site; this web site contains awesome and actually excellent stuff for readers. Oh my goodness! Amazing article dude! Many thanks, However I am going through troubles with your RSS. I don’t know why I can’t join it. Is there anybody else getting similar RSS problems? Anyone that knows the answer can you kindly respond? Thanks!! These, alongside with all other lace frontal https://www.youtube.com/watch?v=ny8rUpI_98I We have, are impressive! They fit wonderful,I love them, and would advise them to any one. One other great thing about this model is you can use them different ways. Hello, everything is going well here and ofcourse every one is sharing facts, that’s actually good, keep up writing. Hi there would you mind sharing which blog platform you’re using? I’m looking to start my own blog soon but I’m having a difficult time deciding between BlogEngine/Wordpress/B2evolution and Drupal. The reason I ask is because your design seems different then most blogs and I’m looking for something unique. P.S My apologies for being off-topic but I had to ask! Hello there, I do believe your website could be having internet browser compatibility problems. Whenever I look at your site in Safari, it looks fine however when opening in Internet Explorer, it has some overlapping issues. I simply wanted to provide you with a quick heads up! Besides that, great site! Thanks , I have just been looking for information about this subject for a while and yours is the greatest I have discovered so far. However, what in regards to the conclusion? Are you certain in regards to the source? I have learn a few excellent stuff here. Certainly value bookmarking for revisiting. I surprise how so much effort you put to create any such fantastic informative website. It is perfect time to make some plans for the future and it is time to be happy. I’ve learn this submit and if I may I wish to suggest you few attention-grabbing issues or tips. Maybe you can write subsequent articles regarding this article. I wish to learn even more issues approximately it! to bbe really something which I think I would never understand. It seems too complicated and xtremely broad for me.